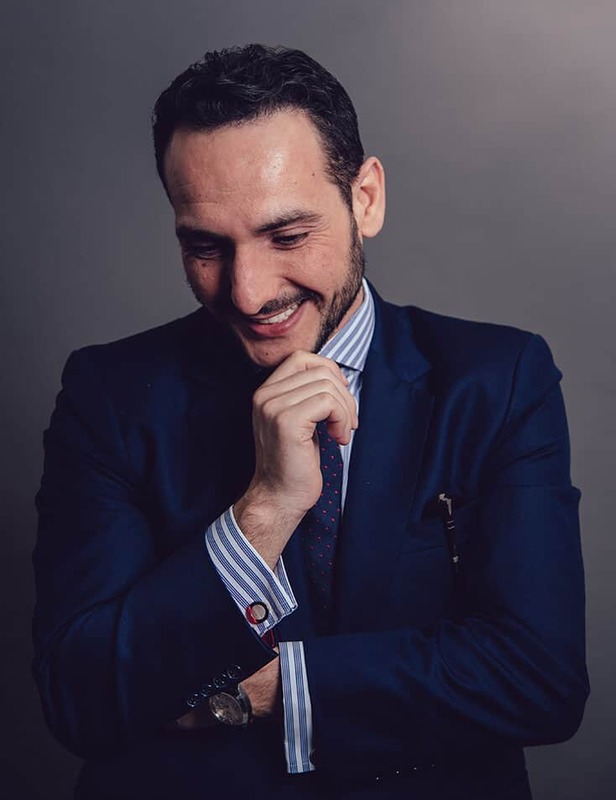 Dr. Antonios Kouroutakis, Professor of Public Law and DPhil in Law from the University of Oxford, has conducted research at the City University of Hong Kong, the Free University of Berlin, FVG Sao Paolo, and Aristotle University of Thessaloniki. His broad experience in difference countries gave Antonios a global vision of the law, something he lives and breathes everyday as a professor at IE Law School. “Being a professor is a unique and creative role in the sense that you have to pass on to the new generation the achievement of past and present generations while conveying the message that they have to go a step further”. What would you highlight from your experience in the countries you lived in? I was born and raised in Greece. I did my Master’s degree on comparative constitutional law at UCLA (US). It was a unique experience, as it was a different US than the one we are accustomed to see; it took me a while to adapt to the new environment. It was interesting because it was a melting pot, with people from different cultures and mentalities; and I was coming from Greece, which was quite homogenous. Going abroad, living, and learning in a diverse society was a very enriching learning experience; it was my first window to the world. My second experience was in Oxford, England, a completely different setting: an old traditional town, with rituals based on the past. We had the feeling that we were living in a different historical period. Everything remained unchanged and the concept of tradition was visual. Hong Kong was a drastic change for me. Hong Kong is a big, technological and crowded city where everything moves faster. In Hong Kong, you could actually see the face of the market economy and experience a different work mentality and ethics, which is very different to what I was used to. After Hong Kong, I went to Berlin, where I spent 6 months at the University of Berlin. I was very impressed by Berlin, it was the youth capital of Europe; very international, full of young people and art was everywhere. It was a very different experience. After Berlin, I came to Madrid, which is closer to European standards, but has a more relaxed and easygoing vibe: In Spain, you work hard, but at the same time, you play hard. It is a very nice environment. Did you find cultural differences in the approach to the law? There are differences, but the concept of what is just, is very similar. In each country, there is more or less the same level of fairness and, at least the countries I have been to, have the same code of ethics. However, there are differences regarding the role of the judge, the rule of the law and the problems each society faces. Does this global experience have an impact on your career, or on your personal views? By being integrated in a variety of societies for a short period you become more empathetic, and understand yourself better. While approaching diverse systems and different codes of ethics, it’s easier to understand what you want, your goals and expectations, and envision yourself in the future. Through the lenses of different cultures and cities, you are able to find yourself. Do you transmit this to students? We are privileged at IE as we have a diverse student body. I teach constitutional law and in my classes, I have students that come from different backgrounds: some of them come from countries with liberal democracies, while others come from countries with a more authoritarian regime, or countries with a constitutional monarchy. This diversity at IE makes it easier for me to pass the message on to students, a message that promotes tolerance towards different opinions and views and that encourages students to be open-minded and learn from others experience, cultures and backgrounds. Therefore, I think that it would be hard for a homogenous student body to understand my approach to teaching, which is to compare and contrast, to tolerate different views, and show different examples and ways to achieve the same goal. Additionally, this is an important benefit for students, as they learn a great deal from their colleagues. I am there to help in that process. As each student shares their experience, I learn something new from them and feel richer every time I leave the classroom. It is an ongoing learning process. Can you recall something you learned form a professor or mentor? I have learned from every professor and mentor that I had. From my supervisor in Oxford, I learned about patience; he was always keen to listen to my ideas, and approached them in a very positive way, which helped me develop my knowledge, go beyond and learn more. He gave me space in order to express myself. From my mentor in Hong Kong, I kept his creative way to solve problems. I do some “cherry picking” from all my experiences, and from every person that I have worked closely together with, I pick the aspects that I like. As I am supervising undergraduate theses, I am trying to follow the pattern of my supervisors; to listen to the students’ concerns, and help them choose a topic that they like, and allow them to express themselves. In this manner, I seek to help them find themselves as well. Back then, in your college years, did you envision yourself as a teacher? When I enrolled to law school, I wanted to work as an ambassador and I did not want to practice law, I found it very technical. Then, when I started university, during my first year, I realized that I wanted to focus in constitutional law, which led me to realize that I wanted to be a professor. The role of a professor is unique and creative because you interact with new generations and try to pass on to them the achievement of past and present generations, while conveying the message that they have to go a step further, while maintaining the achievements of the past and present. Speaking of the past and future, what are the main challenges students face? My generation faced global competition; 20 or 30 years ago it was not very common to have international professionals traveling around the world. But this generation will face competition from AI, and this is a big concern. Blockchain will be for future generations, what the internet was for us; Blockchain will change a system based on a central and trusted authority. With blockchain, this central authority becomes obsolete, changing the economy and affecting well-established institutions. Well-established norms are being challenged and the only certainty today is that the world is changing, although we are not certain in what direction it is heading. That is why at IE we work with students to help them feel comfortable around technology and be familiar with technological changes. We convey to students the following message: we learn the past, we understand the present, and we work for the future. Any experience you would like to share? A quite remarkable experience was my participation, during my first year as an undergraduate student, at the law school at a training camp in Istanbul, which involved students from Greek and Turkish universities. The main goal of this program was the rapprochement between the two countries and we discussed the Cyprus issue, in particular the Kofi Anan Plan for the reunification of the Island and the new proposal for a constitution. It was my first international exposure, and I met very interesting people from both Greece and Turkey, with whom we became friends and are still in touch today. Interestingly, this program was my inspiration for my future studies on constitutional engineering. This program received international attention and it was covered from CNN, you are able to watch it here.